Work For Yourself, With Outstanding Support. The Dealer Development Program is designed to help the next generation of entrepreneurial Car Dealers realize their dream of owning and operating their very own CARite dealership. The program provides select individuals with a long list of benefits, including our Floor Plan offering, and a host of other helpful resources. Start your application process below and receive our exclusive candidate brochure immediately as you start your journey toward OWNING your future! A simplified floor plan with attractive terms is available to Dealer Development candidates. Get a professional brand to support your business, and become part of our exciting growth story! A central team working on HR, training, IT, marketing & more. Learn with a network of like-minded dealers. The Development Program entitles operators to keep 99% of the Net Profits generated! Your values align with our DRIVE values. You are respected and highly regarded in your community. You can provide trusted references. Please read our DRIVE values before applying. You have a proven track record of success in the car business, ideally with some leadership experience and excellent sales performance. We typically seek candidates with 3 or more years experience. You are willing and able to work within a defined budget and framework. You are eager to learn on an ongoing basis and you are enthusiastic about working with a community of CARite dealers to move our brand forward! Work within an agreed budget framework to achieve your store revenue and profit goals. Dealer Development operators keep 99% of the profits generated in their store. In addition, the Dealer Development Program gives operators the opportunity to buy the business outright within a reasonable period of time, and on easy-to-understand terms! CARite uses a proprietary platform to help dealers manage their business. The platform offers a Centralized IT suite including a website, basic CRM, inventory management tools and lead analytics. In addition, you benefit from the release of additional enhancements and features as our brand grows over time. At CARite we have standardized the retail experience so that all team members can benefit from a simple set of processes designed to deliver a great experience to our customers. In addition, enjoy the sense of community among a trusted network of like-minded entrepreneurs in our growing dealer network. I agree to allow CARite to conduct a background check. I agree to allow CARite to conduct a credit check. “We didn’t like the car buying experience, so we started a dealership group. Our stores operate at a low overhead so that we can offer great low mileage cars to customers at amazing prices. At CARite, there’s no haggling and our better cars come with great benefits to provide customers with peace of mind. 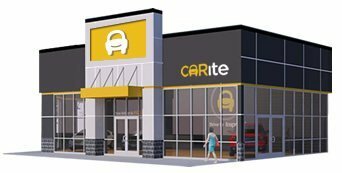 We have twenty five CARite dealerships in operation in six states and expansion plans to open more throughout the country. We are looking for entrepreneurs, in the car business to propel our brand forward with additional CARite dealerships as we continue to grow!"